Hero Biobased Resin Cleaner removes all types of mastics, adhesives, pastes, and glues. It brings superior performance and safety to your workplace with an environmentally-friendly, plant-based, low-odor and low VOC formula. A researched blend of surfactants makes this product rinsible with water with no residue left behind. 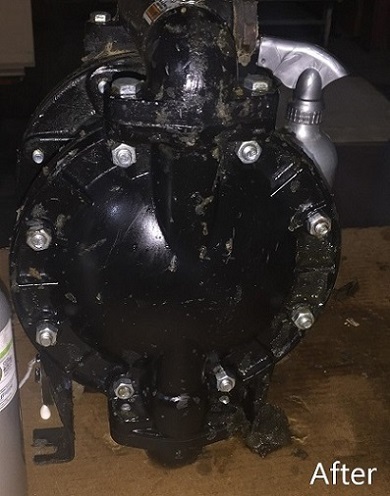 Mastic removal is a challenging task because these types of adhesives are designed to be waterproof and sealing. Hero Biobased Resin Cleaner rises to this challenge and makes removing these materials effortless. Safely work on concrete, asphalt, or tile. Use Hero Biobased Resin Heavy-Duty Cleaner when the need is to remove hardened mastics, adhesives and pastes which can be especially tough. Biobased, plant-based formula contains no harsh chemicals. Non-combustible, low VOC, no ODCs, neutral pH, non-HAPs, biodegradable, and recyclable resulting in reduced disposal costs. Extremely effective at safely removing even the toughest mastics from all types of surfaces. Derived from vegetable oil blend which has significant regulatory and safety advantages over petroleum-based solvents and address the health concerns facing solvent users today. Removes inks (oil based, solvent based, uv-curable, varnish), adhesives (hot melt, polyurethane, vinyl ester), resin & coatings (polyester, vinyl ester, polyurethane, high & low solid aliphatic, waterborne epoxy primers, acrylic paints, varnish and alkyd enamel, latex polymer and other paints), as well as pMDI resin (polymeric methylene diphenyl diisocyanate). Contains No Hydrocarbon Aromatic Naphtha, Phenols, Butyl Cellosolve, Acetone, MEK, Xylene, Toluene or Methylene Chloride. No heavy metals or ions. Can remove newer mastics, layered adhesives and even glues 50+ years old. The below Before & After pictures show how Hero Biobased Resin Cleaner removes a difficult adhesive material. 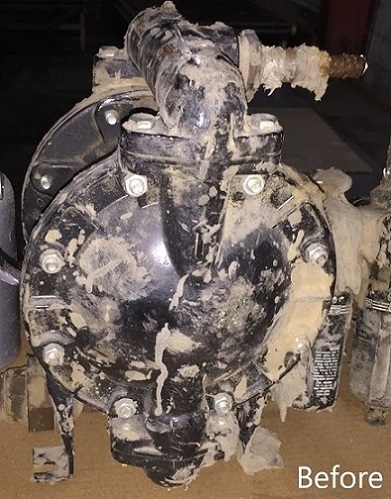 Very low VOC emissions that help to create a safe indoor air breathing environment for all building occupants. Inhalation of high VOC emissions typical of the most common resin cleaners in use today have been linked to adverse long-term health effects including shortened life spans. With a Readily Biodegradable rating, Hero Biobased Resin Cleaner will breakdown quickly after use and return to the earth for long-term advantage. Using biobased products will demonstrate your commitment to improving our environment and utilizing natural resources more responsibly. 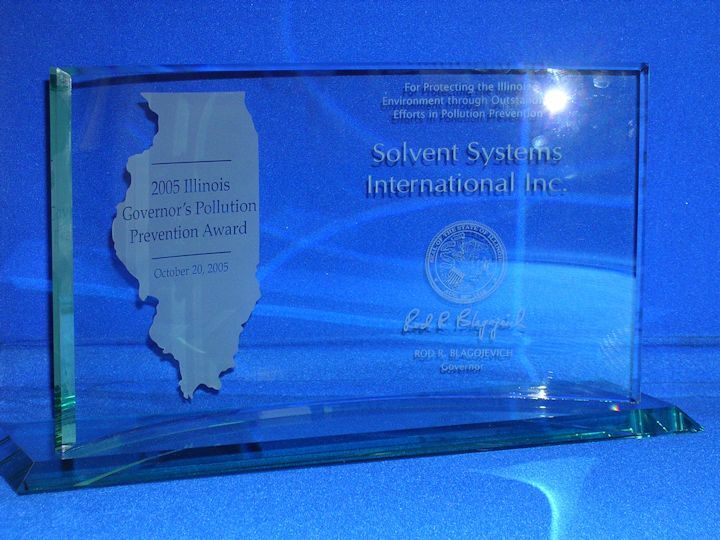 We received the Illinois Governors Pollution Reduction Award for the VOC reduction achieved by the Grease Gator. This was our second Pollution Reduction Award, the first was for our Solvent Recovery Truck. We received a Chicago Innovation Award for the Grease Gator's design.